The MPI is part of the German Max Planck Society for the Advancement of Science and belongs to the Society’s Human Sciences Section. The research agenda of the Institute is comparative, international, interdisciplinary and empirical in nature and focuses on criminal law, crime, crime control, and crime victims. The comparative law approach involves examining, comparing, and contrasting domestic and foreign legal systems and practices including European and International Criminal Law. The MPI has numerous cooperation arrangements with research institutions both within Germany and internationally. The MPPG is a joint venture of MPI and PFZ. 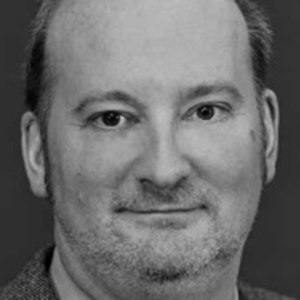 Michael Kilchling is a senior researcher at the Department of Criminology of the MPI for Foreign and International Criminal Law in Freiburg and lecturer at the University of Freiburg where he has also received his doctoral degree (Dr. jur.) with the dissertation “Interests of victims of crime and public prosecution”. His main research interests include penal sanctions and sanctioning systems, juvenile justice, victim/offender mediation and other forms of restorative justice, victimology, organised crime, money laundering and the financing of terrorism, confiscation and asset recovery, and procedural measures of investigation. He has been a member of several international expert groups and committees. He is also a course director of the International Spring Course ‘Crime Prevention through Criminal Law and Security Studies’ (since 2009) and of MPPG’s Intensive Course on Balkan Criminology (since 2014), both held at the Inter University Centre in Dubrovnik (Croatia). His list of publications includes authored, co-authored as well as edited books and articles in German and English, a few of which have been translated into Italian, Turkish and Chinese. He is co-editor of the MPPG’s Newsletter “Balkan Criminology News”.